Yesterday, at the meeting of the Russian surgeons' society in Moscow, Doctor B. Mints presented a report on the removal of bullets from lungs, the diaphragm and the pericardium. Such operations are entirely new to military surgery. All the patients made it through the operation and their heart is working correctly, even though during the operation the doctors occasionally had to grab it with their hands. The location of the bullets in the body was found using x-rays and a special device that helps open the chest without violating the respiratory function of the lungs. In the last 20 years the Mariinsky Theater has never opened so late as it has this year. Two weeks have been lost for performances… Only in 1894 did our exemplary theater open later than this year – October 4. Back then the reason was a major renovation. Now the delay was due to the notorious iron curtain, which was not able to arrive on time. Yesterday during the intermissions the public was interested to know who was responsible for the delay, but the culprit remained hidden and the curious public was unsatisfied. And so, the season of our exemplary opera has begun! The first performance is Glinka's immortal masterpiece A Life for the Tsar. It is a wonderful tradition to begin the season with this opera (since it is the foundation of our national music!) and the theatre administration is doing the right thing by following this good custom. The tire guard is a new (patented) invention in the automobile field. The "tire guard" has been tested and approved by the General Military Technical Administration and recommended by the General Headquarters. This half-liquid mass, which is introduced into the inner chamber, instantaneously plugs punctures in the damaged rubber tires and does not allow air to heat up too strongly in the chambers. 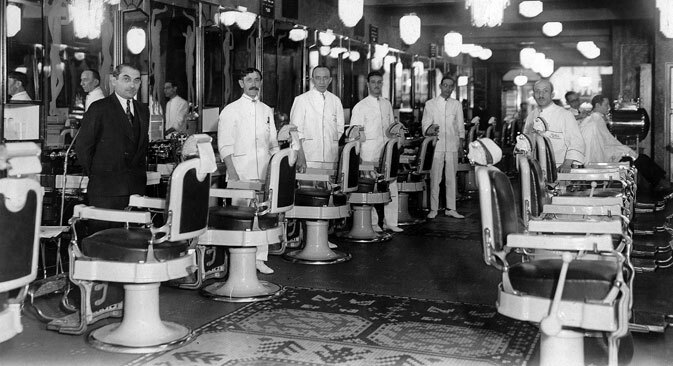 The present author has been to dozens of barbershops: small, large and first-rate ones. All the windows in these shops contain tricolored posters reading "Barbers' Day." Inside the shops there are mugs placed where they can be noticed. I thought that the money earned after the haircuts was immediately deposited in the mug (during the "days" all money placed in the mug goes towards the war – editor's note). I did not see this in one barbershop. The money went, as always, to the cashier. “Why isn't the money deposited into the mug?” I asked at one barbershop. The clients put money, and very generously, in the mugs themselves and the masters then swiftly deposited their "tips" there. When we approached the Northumberland coast a leaden cloud of rain and fog was enveloping the high slate cliffs. "This is England in July," I told my fellow passenger, an old English skipper. "No," he remarked, "this is England during war." Factories and workshops teeming with work stretched along the river's banks. The big station in Newcastle was flooded with departing soldiers who were singing old Scottish and English songs: "Loch Lomond," "Annie Laurie" and others.